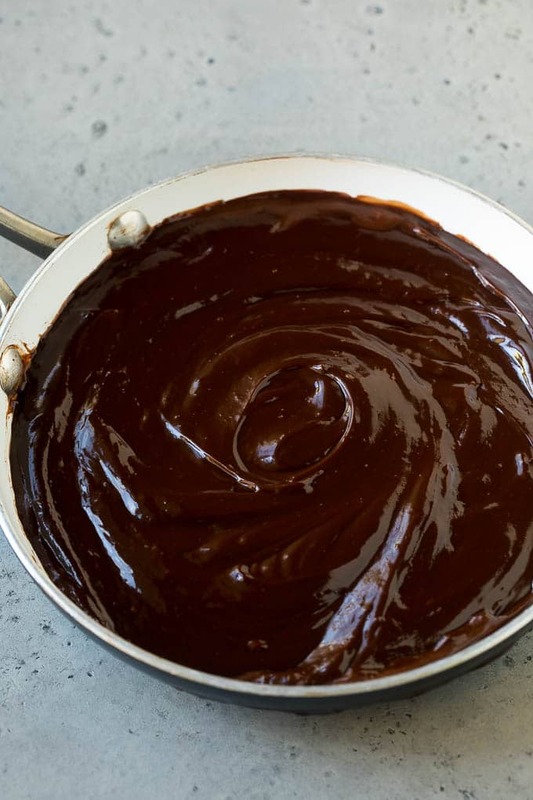 This chocolate fondue is a rich and creamy dark chocolate dip that takes just minutes to make. 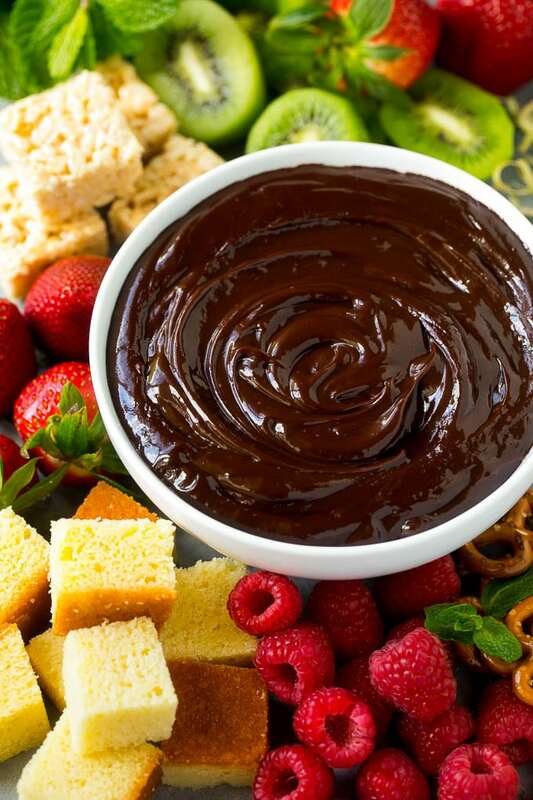 Serve your fondue with an assortment of fruit and sweet treats as dippers, and you'll have an easy dessert that everyone is sure to enjoy! 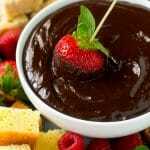 Mmmm, I love fondue and especially chocolate. I like using fruits but, other things too. LIke cake pieces!! oh this looks like heaven! 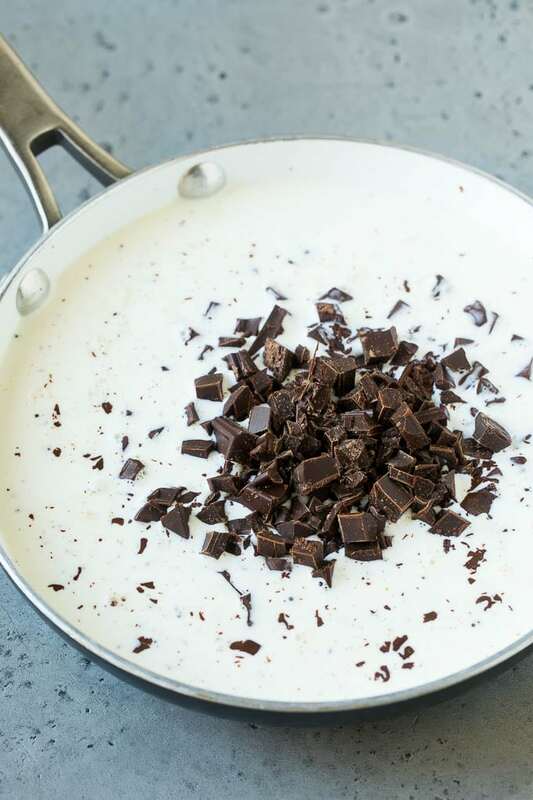 I love chocolate so this is right up my street! 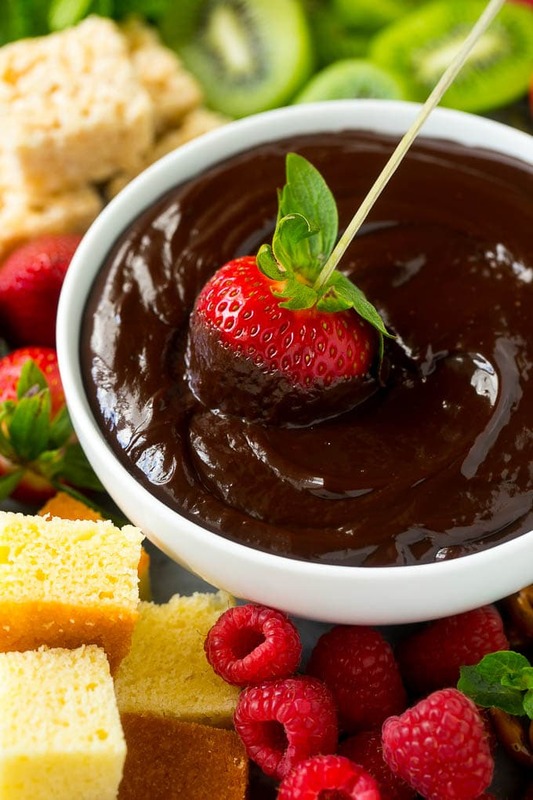 this makes me want to throw a fondue party! I love making chocolate covered strawberries! 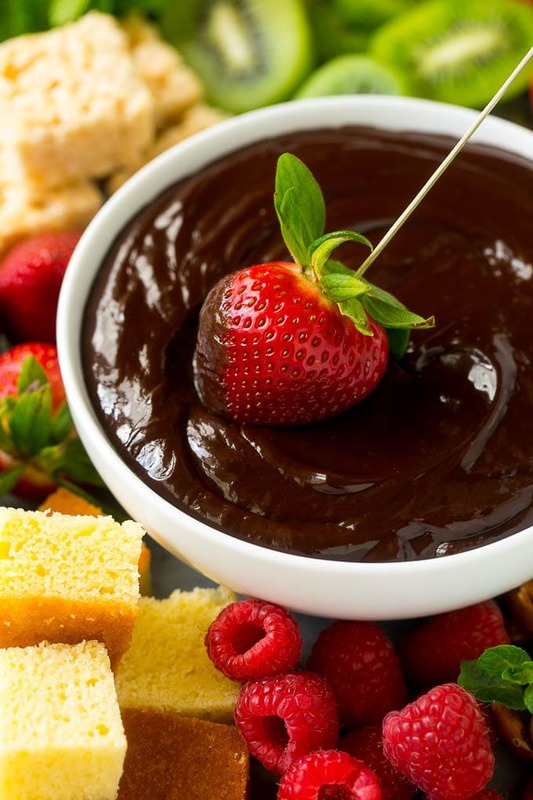 We love chocolate fondue with fresh fruits skewers, nothing better than dipping chocolate! I have always wanted to try something like this. It’s such a fun idea and easy too for potlucks and small gatherings. 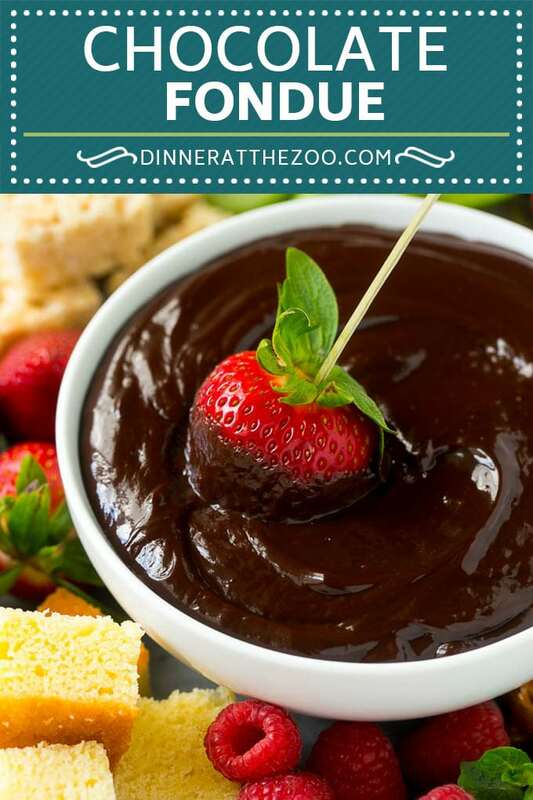 I have a fascination with the chocolate fondue and would love to prepare this recipe soon.